After several months in private beta, the Modulus Node.js hosting platform is now open to everyone! Modulus provides developers scalable hosting, integrated database, and powerful statistics for their Node.js applications. Modulus is a premier Node.js hosting platform that provides a complete technology stack for application developers. This includes custom SSL, WebSockets, MongoDB, statistics, and more. Modulus is currently in public beta. Signup is quick and free. 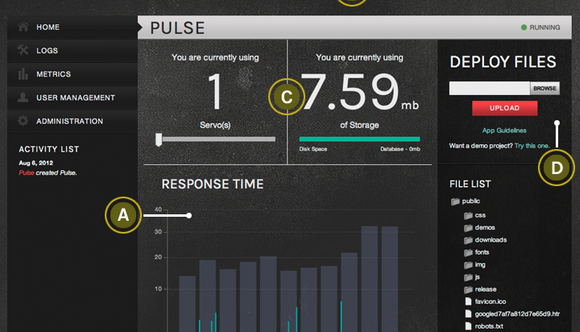 If you’d like to see more, you can take a tour of the Modulus Project Dashboard.